The story goes back a long way – as many people argue that, paradoxically, Belarus has no real history. But the weakness of national identity in the present is not because Belarus lacks a past, but because the lands that are now Belarus have long been part of other states and projects. 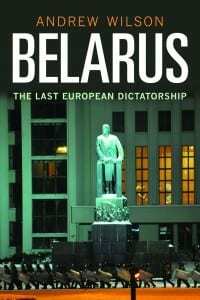 I therefore avoided using the term ‘Belarus’ until chapter five (‘Belarus Begins’). Chapter one is called ‘Polatsk’, after the local city-state. Chapter two is ‘Litva’ – the medieval name for the Grand Duchy of ‘Lithuania’ in which the ancestors of today’s Belarusians played a key part. (I note with interest that Norman Davies’ new book Vanished Kingdoms also includes a chapter on ‘Litva’). The Slavic ‘Litvins’, however, also developed a common identity with the ancestors of today’s Ukrainians as ‘Ruthenians’ (chapter three); before religious splits created separate communities of local Orthodox and ‘Uniate’ Catholics (chapter four). The lands that supported the Union represented yet another different area and identity, including most of what is now Belarus, except for the Orthodox east and the Roman Catholic north-west, plus west and central Ukraine, in a genuine cultural synthesis of east and west before the Church was abolished on Russian imperial territory by Tsar Nicholas I in 1839 (it survives in west Ukraine). All of these identities belong to ‘Vanished Kingdoms’. The nineteenth century is often the age of ‘national revival’, but a proper Belarusian national movement only began after 1905. ‘Belarusians’, particularly Roman Catholics, still thought of themselves as Litvins; while local Jews like the painter Marc Chagall called themselves ‘Litvaks’. The local Orthodox thought of themselves as ‘west-Russians’. Unfortunately for the last Litvins, the other parts of the old multi-ethnic Litva – the Lithuanians and the Poles – had largely converted to ethno-nationalism by 1917. They built their own national states, but the Belarusians did not. There was a Soviet ‘Belorussia’ (the Russian spelling), however; an eclectic project that basically began again almost ex nihilo after the destruction of World War Two. Belarus suffered at least 2.2 million dead out of a population in 1940 of around 9 million. Belarus also had the biggest partisan movement in the east, not counting Yugoslavia, with a peak of 370,000 fighters controlling 60% of Belarusian territory in 1944. Unlike the Baltic States or west Ukraine, the ‘partisan’ Communists walked tall after the war. They could argue they liberated themselves, and their prestige won investment and resources – as did the fact that Belarus was no longer on the front line of the Communist camp, safe behind Poland and the GDR. There were few anti-Soviet dissidents in Belarus. The ‘Popular Front’ created to push for independence in 1989-91 was weak. The first post-Soviet government led by Viacheslaw Kebich was dominated by former Communists. Kebich himself has been mocked, not for leading a liberal interlude, but as an ‘inefficient authoritarian’ (with one reason for his inefficiency being he was often out of action due to drink). Lukashenka, in other words, didn’t come out of nowhere. He has survived since defeating Kebich in an ironically relatively free election in 1994 by reflecting many (though by no means all) of the preferences of the average Belarusian. This means a foreign policy closer to Russia, but not being reabsorbed by the Russian state; a nation-building project based on the Russian language and the Belarusian-Russian dialect ‘trasianka’, and on an eclectic mix of mainly Soviet Belarusian myths and symbols rather than the linguistic and historiographical purity preferred by the nationalist opposition. Above all though, Lukashenka’s longevity has rested on a social contract paid for with Russian money. There is no ‘Belarusian economic model’, despite the wishful thinking of some in the Western left who would like to see it as an island of welfare stability in the post-Soviet chaos. Instead, Lukashenka has a foreign-policy model; he has cynically balanced between east and west to win resources. When Russia started paying less and asking for more, once Putin was secure in power and the threat of coloured revolutions spreading from Georgia and Ukraine had past, Lukashenka announced a ‘many-winged’ foreign policy, whose basic purpose was to scour the global dictators’ club for money: including China, Azerbaijan, Venezuela and most recently Iran. At their peak, such subsidies amounted to 25% to 40% of GDP. But they also led to a lop-sided boom. The economy didn’t produce enough; Lukashenka continued to push up the standard of living, aiming for his Holy Grail of a real wage of $500 a month by the time of the last elections in December 2010. The result has been inflation and a massive balance of payments deficit, and effectively zero in the foreign currency reserves. The Belarusian rouble has had three emergency devaluations in 2011. The Belarusian ‘model’ seems at a dead-end. The Russians will only continue to back Lukashenka if he agrees to sell them every strategic asset they covert. A broader privatisation programme would undermine the welfare social contract. So in the short term Lukashenka prefers to play foreign policy balance once again, promising the West that he will release political prisoners and start a fake dialogue with the opposition. We shouldn’t bail him out. Lukashenka’s time is up. The economy is in trouble, but ironically Belarusian society is more stable than it was in 1991 or 1994. If Lukashenka hasn’t returned Belarus to Russia, then nobody will; so we shouldn’t buy the argument (blackmail would be a better word) that we should go soft on the regime to avoid a Russian revanche. Lukashenka’s nickname is batka, meaning ‘father’ in the sense of strict but paternalist patriarch. Ironically, batka is the father of a new nation, but its future is without him. Andrew Wilson is Reader in Ukrainian Studies at UCL-SSEES. 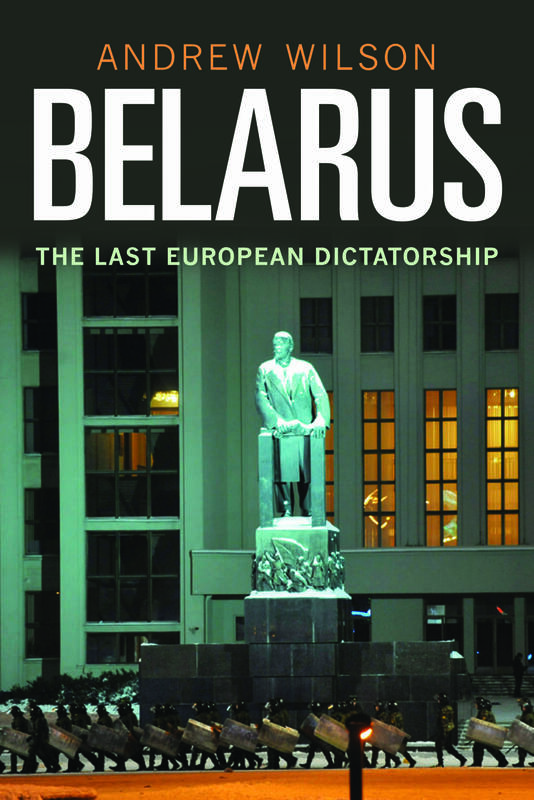 Belarus: The Last European Dictatorship is published by Yale University Press. This piece first appeared on the Yale Books blog and is reproduced with permission.